Another high quality icon set designed by AomAm. This time we have a set of 12 baby-themed icons that can be very useful for creating posters, invitations, stickers, and so much more. 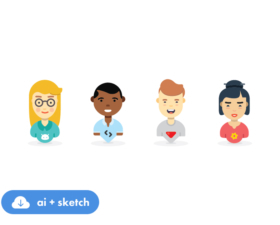 The freebie comes in both .AI and .Sketch formats.